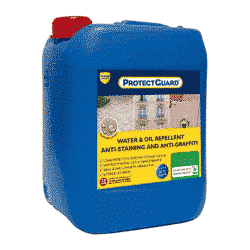 FORGET EVERYTHING YOU KNOW ABOUT WATER BASED SEALING PRODUCTS! 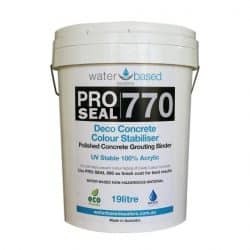 Water based sealing products generally have a poor reputation. 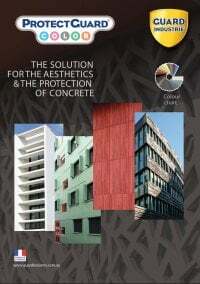 The very first water based sealers and paints introduced back in the 60’s and 70’s had to compete with well established solvent based technology, and understandably there was a bit of ground to make up in terms of performance. 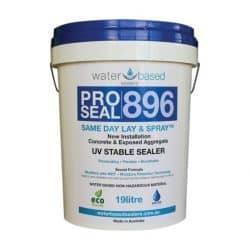 Sadly, some of the earlier water based technology is still available at the bottom end of the market today and perpetuates the myth that all water based sealing products are rubbish. 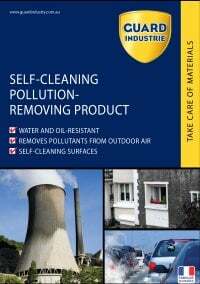 to any water based products you may have used previously! 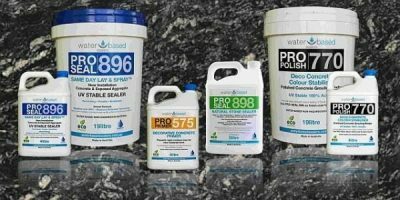 These products are founded on a completely different design philosophy and utilise completely different chemistry to other sealers on the market. ► High crosslinking for stable sealer performance and unwavering durability ► No/low crosslinking. Prone to swell and contract in wet environments. May temporarily turn white. 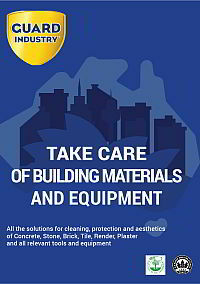 …the time has come to say goodbye to toxic sealers! Gone are the days when you had to choose between high performance or looking after your health and the environment. You can now have it all! 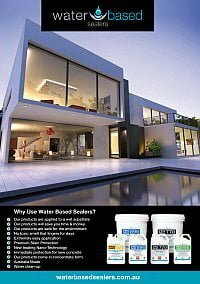 Make the switch to Water Based Sealers products today!